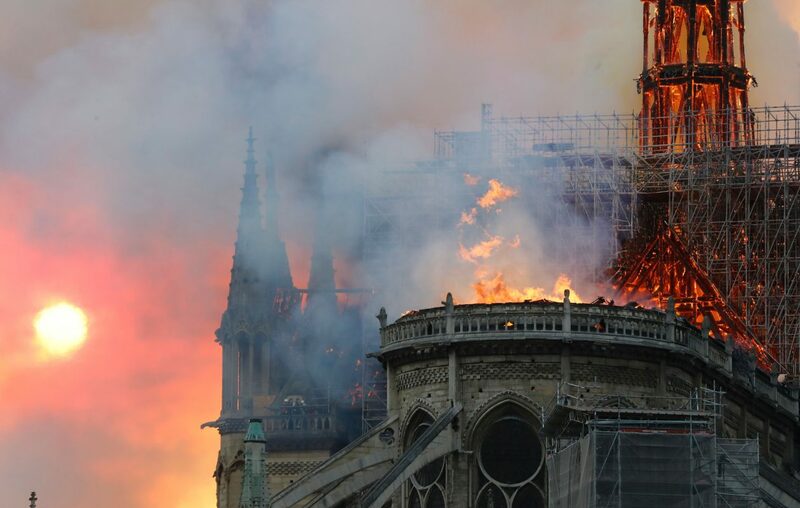 To see Notre Dame bursting up bright into flames makes the heart leap with emotion: shock, anger, loss. The symbol of France! A place where the most profound classics can stroll in harmony with the most trivial amusements, how can it be? One is aghast. How can it be! An era has come to a sudden blazing conclusion. On the same day that the Titanic sank! What a strange coincidence… The spiritual age that built the cathedral has reached the end of it’s days, like a mightly tree that we thought could never fall. Now those mighty oak beams - la forêt - are a ruin of ash. We all sense that a new age is dawning. We can all feel it. But none of us knows what happens next.